Welcome to the Franklin County Genealogical & Historical Society ! 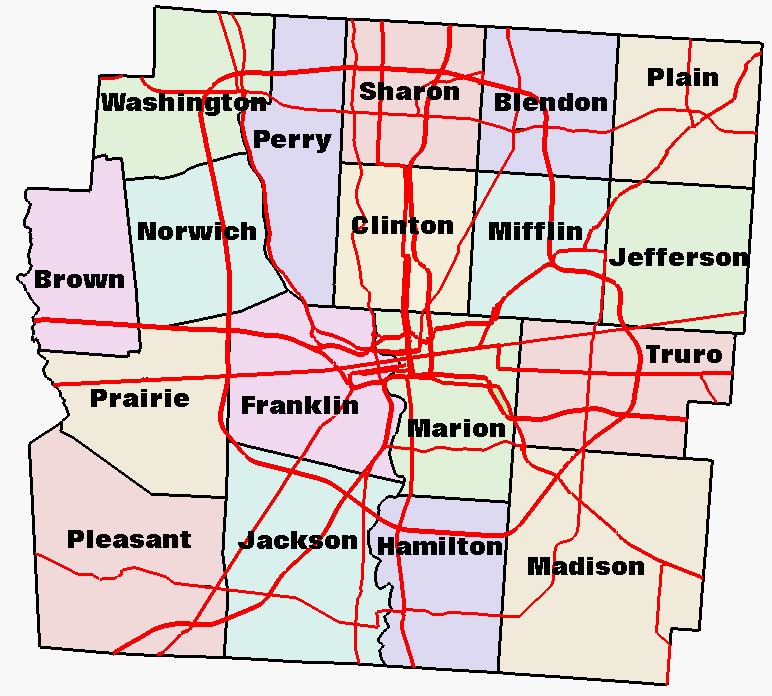 Our earnest volunteers have worked hard to bring to our audience organized genealogical information, most of it about Franklin County, Ohio. Realizing that all of us have found clues in unexpected places, don’t leave a click unclicked in our left margin offerings. Members of FCGHS have access to ALL information on our website while non-members limp along; wondering what might lie behind the magic door that could be the answer to their genealogical problems. Become a Member of FCGHS for only $20 and who knows what you will find: ancestors, indexes, records, friends, opportunities and appreciation. Are you interested in your family’s history, but not sure how to get started? Join us in this webcast as we share helpful tips about how to begin your family tree. Exploring family history not only builds academic skills, but provides important family connections for students. Any student attending school in Franklin County can enter. There are two divisions: Grades 7 & 8 and Grades 9 – 12. 1 – year member ship to FCGHS. The FCGHS has a Facebook group where we publicize events and discuss genealogy. and request to join—an administrator will approve you. The Franklin County Genealogical and Historical Society will search for a copy of an obituary/death notice in local newspapers for a cost of $5.00 per obituary. Early obituaries, usually before 1933, require a researcher to search the entire paper looking for the announcement. This usually requires at least 1 hour of research. Normal society research fees apply: $15 for FCGHS members and $25 for non-members. The society will accept e-mail (TFCGHS@gmail.com) requests with the understanding obituaries will not be sent until payment is received. FCGHS, 96 South Grant Avenue, Columbus, Ohio 43215-4702. We’ve partnered with FamilySearch, giving you access to billions of birth, marriage, death, Census, land and court records from more than 130 countries. Family History Centers can request access to digital content on FamilySearch.org that is restricted from viewing on a personal computer. All you need is your library card. Stop in and see us on the 3rd floor of Main Library, call us at 614-645-2275 or click here for more information. CLICK HERE to review the names of the original pioneers from Franklin County. These men and women are known to arrive in Franklin County prior to December 31, 1830. The first column contains their last name, second column their first, third column is when they arrived in Franklin County. If your ancestor(s) name is listed, you are eligible to join the FCGHS Pioneer Family Lineage Society. Each year, FCGHS honors new applicants at a Lineage Society luncheon. Newly accepted applicants will receive a Pioneer Family Lineage certificate, Franklin County Genealogical and Historical Society Pin, and a Pioneer Lineage bar which attaches to the pin. Thank you for going "Kroger-ing"
Thank you to all the FCGHS members, family and friends (7 households) who are participating in this fantastic program. Remember the more supporters we have who shop at Kroger, the more free money the Society will earn. It is not too late to help the Society earn free money. To sign up... go to www.krogercommunityrewards.com Enter your 12 digit Kroger card number and our organization number JA 546. (Number has Changed 2018) (We are listed as Franklin Co. Genealogical and Hist. Soc.) The Society will receive a percentage of the amount you spend. It does not cost you anything or effect your fuel points. This is a great opportunity for you to help the Society's yearly budget. Our Society will receive a percentage of the amount you spend. It does not cost you anything or effect your fuel points. This is a great opportunity for you to help the Society's yearly budget. Can we TOP $500.00 this year !!! Every year you need to re-enroll in the Kroger Community Rewards Program between April 1st - April 30th) No Sooner) To re-enroll go to www.krogercommunityrewards.com. or Kroger.com and Sign in. Follow the instructions. Please take a few minutes to enroll or re-enroll in this worthy program - it really benefits our Society. Here is another way to help the Society! If you purchase anything through Amazon.com, you can participate in their charitable giving program by making the exact same purchase for the same exact price through a program called AmazonSmile at smile.amazon.com. After you have filled out your order you would then designate The Franklin County Genealogical and Historical Society (Columbus) as your charity of choice. BEWARE: There are two Franklin County Genealogical and Historical Societies; one in Texas and ours. Just designate Columbus. Amazon donates 0.5% of the price of your eligible AmazonSmile purchases to the charitable organization of your choice. A small percentage of your purchase is re-directed to the Amazon foundation and directly deposited each fiscal quarter into our bank account. Remember, you pay the same exact price for an item whether you are in the program or not. So please help the Society earn some free money. Thank you for participating in AmazonSmile. 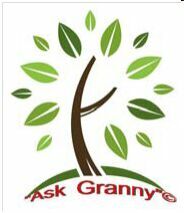 "Ask Granny"© is an innovative genealogical outreach program especially designed to be presented by local Genealogical Society members at assisted-living or retirement homes or other places where seniors gather. Funded entirely by small local contributions, the authors provide FREE specially formatted materials and instructions. The Franklin County Genealogical Society members will use the materials to guide the seniors as they create a simple ancestral chart for themselves and for their spouses. When those pages are preserved in their special gift folder, family members will never have to wonder "why didn't we ask Granny about that?" Whether the students can remember the details of one generation or six, they create an irreplaceable record of family history for their grandchildren and great grandchildren. At every session, even seniors who think they will remember nothing have been able to record several generations with the help of their instructors.